This gorgeous handmade kilim rug is woven on a handloom which is operated by human effort. This is woven in a purely natural material like wool and cotton. 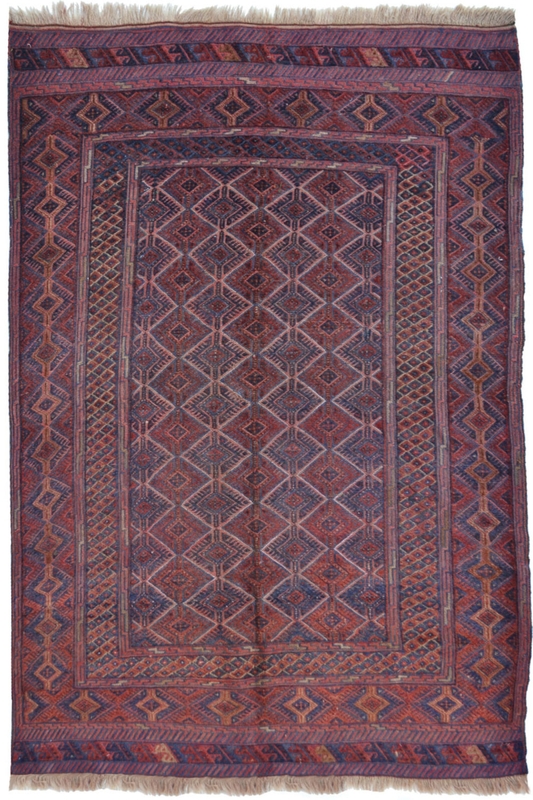 It is a kilim area rug and woven in flat-woven technique. Due to the cotton foundation, it is a highly durable rug. Kilim rugs are cheaper than hand-knotted rug but work for the same purpose. This stunning kilim rug is made in wool and cotton material. In this rug, 80% is wool and 20% cotton. It contains geometrical pattern. Enhance the beauty of your floor and give a new and cozy touch. - Indoor/Outdoor Use: Indoor / Outdoor. Please note that lengths and widths may slightly vary from published dimensions although we strive to provide the most accurate measurements possible. Also, we do try our best to display the most accurate images. There might be a slight variation in color between the actual product and your screen due to the difference in computer monitors.